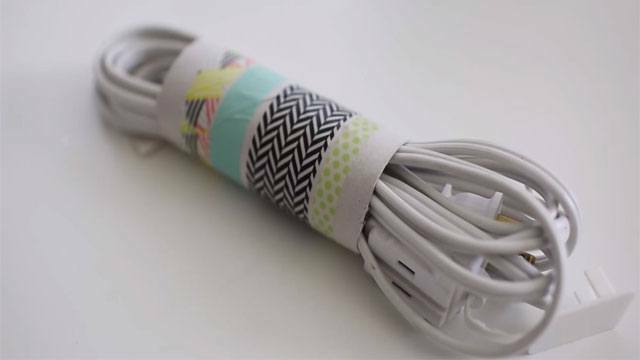 Keep your chargers, cords, and even your earphones from getting tangled with the help of an empty tissue roll. You can fold the cords neatly then slide it inside the tube. You can also wrap it around the paper roll so you can get it swiftly. For more ideas, click here. Need some music in the house? 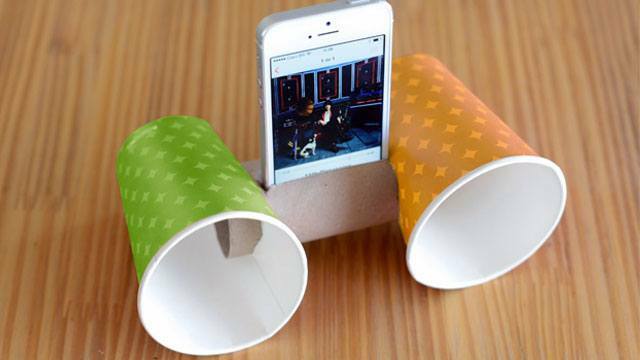 Try making your own crafty speaker with a toilet paper roll and two paper cups. Trace the radius of the roll on the side of the two cups then cut it out to make two holes. Once it's firmly attached, carve out a niche that matches the size of your phone or music player on top. If your device is snug enough, hit play, and have some fun. You can do this project with a larger paper roll and paper cups for better sound quality. 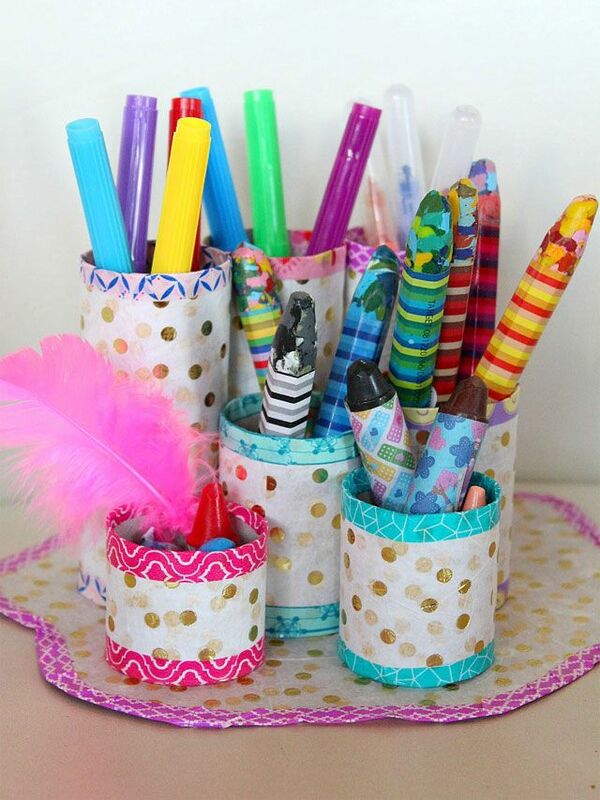 Control the clutter on your desk by using the rolls to organize pens, markers, and other tiny knickknacks. Gather four to five rolls then attach it to an old cardboard or illustration board. Once these are secure, feel free to decorate or paint it. If you're satisfied with the look, start organizing your essentials for a cleaner and prettier desk. Click here for the complete instructions. Got tons of calling cards taking up space in your wallet? Gather these cards and set it aside. Press and flatten a toilet paper roll. Make holes on one side—make sure a yarn or thick thread can fit. Carefully stitch the ends. Stitch a cute button in the middle of the roll and attach a rubber band at the back. Voila! Instant card holder. For the complete guide, click here. Do you love arts, crafts, and making things with your hands? Look for designs on the Internet and turn your tissue rolls into interesting pieces of wall art. 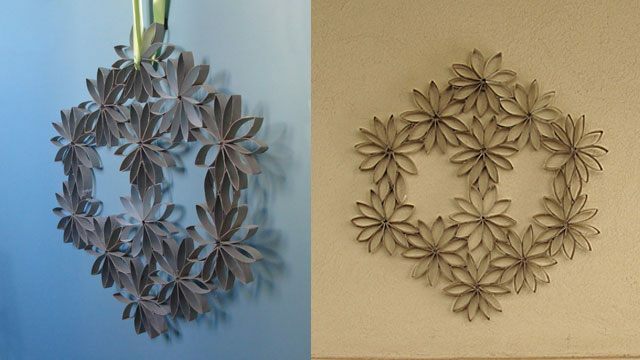 Create flowers and fun shapes, then glue these together. Add a string on top and hang it on an empty wall. You can also paint it a lively hue for a quirky touch. Click here for the complete guide. 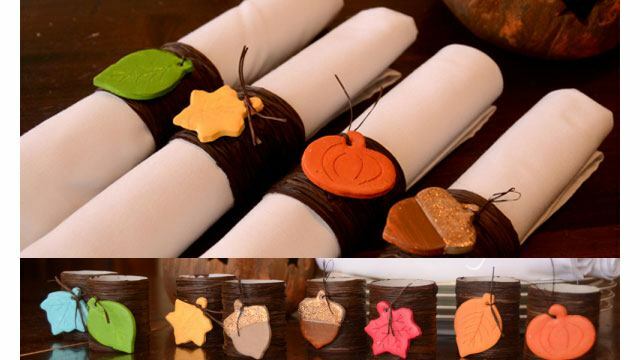 To make napkin rings out of toilet paper rolls, carefully cut them to your desired thickness. 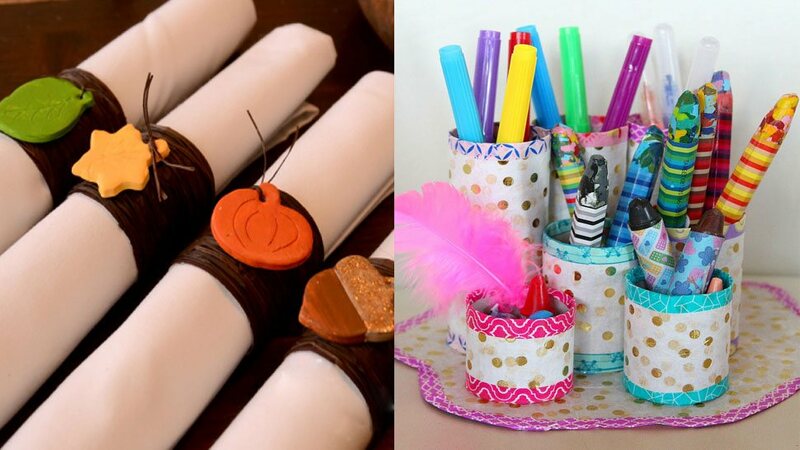 Using paint, fabric, and cute tags, liven up the rolls. You can even wrap twine around it for a rustic touch. Click here for the complete guide.